Just when some of us are waiting for Instagram to be released for Android and Windows Phone 7, Symbian has gotten it’s own photo sharing app just like Instagram. 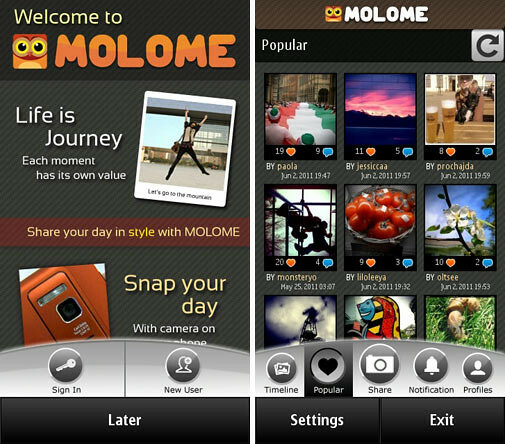 With a cute owl as it’s mascot, MOLOME aims to let users share photos on the MOLOME stream and also Twitter and Facebook with beautiful filters applied on them. 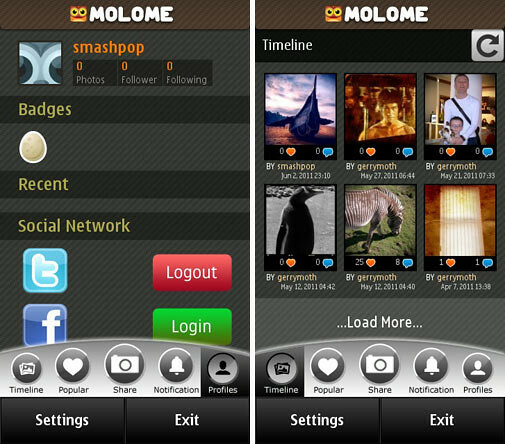 MOLOME ™ is a easy & fun way to share your journey of life. Grab your phone, snap photos or choose from Gallery, experience cool effects beyond creativity and share it with your friends or show it to the world via Social Network. Upon launching the app, it will prompt you to sign in or register. The popular tab is where you can explore and view photos from users from around the world. Left screen: Own profile page. Here you can activate your social networks sharing. Right screen: Timeline of photos posted by people you are following. Tapping on any of them will bring up the larger view of the photos. The filter screen is similar to Instagram whereby users are given various types of filters to apply on photos. Do note that this app is only applicable for S^3 and S60v5 devices. 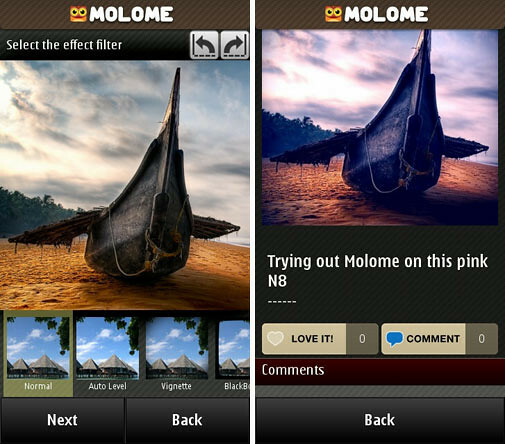 2 Responses to "MOLOME: It’s Instagram For Symbian Devices"
Good review. I LOVE this app.